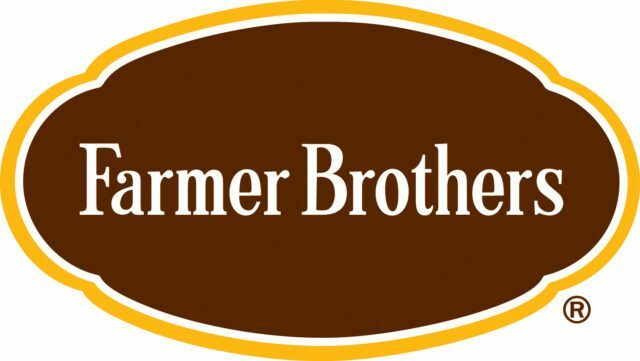 NORTHLAKE, Texas, U.S. — Farmer Bros. Co. reported financial results for its fourth quarter and fiscal year ended June 30, 2018. Successfully added 4.1 million pounds of green coffee and $18.2 million in net sales related to the acquisition of Boyd Coffee Company (“Boyd”). Adjusted EBITDA was $47.6 million compared to $43.0 million in the prior year. The selected financial data presented below under the captions “Income statement data,” “Operating data” and “Other data” summarizes certain performance measures for the three months and fiscal years ended June 30, 2018 and 2017 (unaudited). In the fourth quarter, the Company adopted changes in accounting principles converting from the last in, first out inventory method to the first in, first out inventory method and reclassifying and capitalizing certain freight, warehousing and other expenses as inventory costs. These changes were adopted retrospectively and all reported prior periods have been adjusted. Volume of green coffee processed and sold increased 17.7% for the quarter to 27.4 million pounds, with volume associated with the Boyd business acquired in October 2017 contributing 4.1 million pounds of this total volume. In the fourth quarter of fiscal 2018, green coffee pounds processed and sold through our DSD network were 9.0 million, or 32.7% of total green coffee pounds processed and sold, while direct ship customers represented 18.1 million, or 66.0%, of total green coffee pounds processed and sold. Distributor customers represented 0.4 million pounds, or 1.3% of total green coffee pounds processed and sold. Net sales were $149.5 million in the fourth quarter of fiscal 2018, an increase of 11.8%, or $15.7 million, over the prior year period. The addition of the Boyd business contributed $18.2 million to net sales, offset by a $2.5 million decline in our base business primarily due to price decreases to our cost plus customers, a shortfall in sales from our DSD organization and softness in a few large direct ship accounts. Gross profit in the fourth quarter of fiscal 2018 increased $9.8 million, or 23.0%, to $52.6 million from $42.8 million, and gross margin increased 320 basis points to 35.2% from 32.0% in the prior year period. The increase in gross profit was primarily due to the addition of the Boyd business while the increase in gross margin was largely due to lower coffee prices in the fourth quarter of fiscal 2018 compared to the fourth quarter of fiscal 2017. Operating expenses in the fourth quarter of fiscal 2018 increased $4.7 million, or 10.3%, to $50.6 million, or 33.8% of net sales, from $45.9 million, or 34.3% of net sales, in the prior year period. The increase in operating expenses during the period was primarily due to an $8.0 million increase in selling expenses, including the addition of the Boyd business which added $5.3 million to selling expenses, and an increase in acquisition and integration costs of $0.8 million. The increase in operating expenses was partially offset by a decrease in general and administrative expenses of $2.2 million primarily due to a reduction in expenses in the base business resulting from cost reduction initiatives and a $1.1 million decrease in restructuring and other transition expenses associated with the corporate relocation plan and the DSD restructuring plan compared to the prior year period. Total other expense in the fourth quarter of fiscal 2018 was $0.6 million, as compared to total other expense of $0.5 million in the prior year period, an increase of $0.1 million. Income tax expense was $1.3 million in the fourth quarter of fiscal 2018 as compared to income tax benefit of $(1.8) million in the prior year period. The change in income tax was primarily a result of the change in net (loss) income. As a result of the foregoing factors, net income was $0.1 million in the fourth quarter of fiscal 2018 as compared to net loss of $(1.8) million in the prior year period. Net income available to common stockholders was $1,000, or $0.00 per common share available to common stockholders—diluted, in the fourth quarter of fiscal 2018, as compared to net loss available to common stockholders of $(1.8) million, or $(0.11) per common share available to common stockholders—diluted, in the prior year period. Beginning in the fourth quarter of fiscal 2017, we modified the calculation of Adjusted EBITDA and Adjusted EBITDA Margin to exclude acquisition and integration costs. Acquisition and integration costs include legal expenses, consulting expenses and internal costs associated with acquisitions and integration of those acquisitions. Beginning in the fourth quarter of fiscal 2017 acquisition and integration costs were significant and, we believe, excluding them will help investors to better understand our operating results and more accurately compare them across periods. We have not adjusted the historical presentation of Adjusted EBITDA and Adjusted EBITDA Margin because acquisition and integration costs in prior periods were not material to the Company’s results of operations. Adjusted EBITDA was $14.0 million in the fourth quarter of fiscal 2018, as compared to $6.8 million in the prior year period, and Adjusted EBITDA Margin was 9.3% in the fourth quarter of fiscal 2018, as compared to 5.1% in the prior year period.